Let’s talk about landing and Lead Capture Pages. With a new update for TCP (The Conversion Pros) David Dubbs, the founder, goes over the latest tool to making dynamic landing pages and capture pages. It’s the new ‘Drag and Drop’ tool. This is a quick overview which shows you just how easy these tools are to use. We replaced Stiforp Profits in our One MLM System with TheConversionPros more than a year ago now. It was one of the best decisons possible, as it gives our team members more flexibility to make Landing Pages, or Lead Capture Pages to promote our team. They can also promote other projects that they are working on, outside of our group efforts. These are the things networkers were looking to do anyways, and TCP gave us a way, to give Our members this ability – while preaching structure. Do You need a System that comes with Landing Pages and Lead Capture Pages? Top Earners In Home Business Do This But Do You? 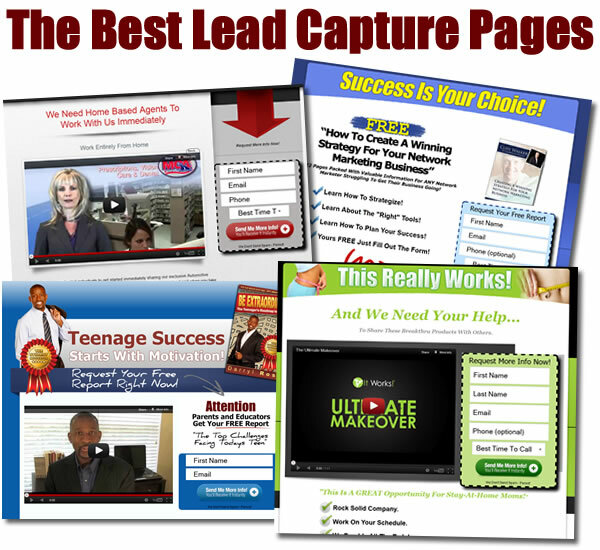 The Lead capture pages have a lot to do with how top earners are making money in this business. They build lists, then communicate with those lists. It’s a major step that marketers overlook. Throwing mud against walls to see what sticks, will never be as effective as sorting. True sorting is all about making lists, adding to those lists, and yes, removing names from those lists. The LIST is the true foundation of any business. Lead capture pages, allow you to get the names and emails (or phone numbers) of people who are interested. A person won’t fill that out if they aren’t. When you deal with people who are interested in what you have, the sale tends to be the easy part. TCP will teach you how to be these tools to be effective with your recruiting effots. I’ve never really done this before so, sit back and get ready to enjoy as I compare My system; The 1mlmsystem – to MLM Lead system Pro. I actually just got done writing up a ‘post’ on my social media outlets – here’s part of it via Twitter – but I wanted to give you the full text as well; along with a few more thoughts to go with it. I don’t want this to come off as bragging, but I honestly feel the 1mmlmsystem is better than what MLM Lead System Pro is offering. That statement is in no way meant to come off as if MLMLSP is not worth your time; or meant to be any kind of slight to what they have over there. In fact, I give them props for beating me to the punch; doing what I should’ve done but didn’t have the desire to do. Also, what we are doing with the 1mlmsystem is entirely different from what they do at MLM Lead System Pro. Our MLM System is more aligned with our vision and goal to help more people make more money in MLM. There are some similarities, but like is the case so often in business; These are two very different animals. Just FYI — I am not a Student of MLMLSP —- I’ve never used their system; Never used their funnel; and I have nothing against it. True story, when I ‘came back’ to MLM – a guy named Robert (my former upline from my first company) asked me to enroll and try it out; Out of respect for him I did. However I never paid the $1, never upgraded; Unsubscribed eventually as well; here is why. When I worked with Rob back in my first company; He and his upline were Against My using the Internet; So i was already doing the stuff they were learning to do. I started doing it back in the day; They were against it when I was (in their downline) telling them about it; and how powerful of a tool the internet was. When I stepped away from that first company; I started working on websites for my original Sponsor; who quit that first company 3 months after introducing me to it. He was the one that showed me internet marketing; We started creating lead capture pages for his Real Estate company; I started using them for my needs. We were well-versed in Internet Marketing; by the time Rob discovered MLMLSP. Truth Be Told – MLMLSP is everything ‘we’ talked about doing while on MLM Haitus; but never did. We (me and my original sponsor) were talking all the time about merging internet marketing with network marketing; We just never did it. Just to Impress Upon you; that I am not a novice. I’m an expert in my field. You’re not going to be able to do what I do in a week, or two weeks; It’s taken me 15 years – and it’s going to take anyone else a number of years – so the sooner you get started; the better. Just make sure you take the advice my mentors gave me. Begin, with the End in mind. SEE The end; Know it’s a long way off. This is why I am not bragging. 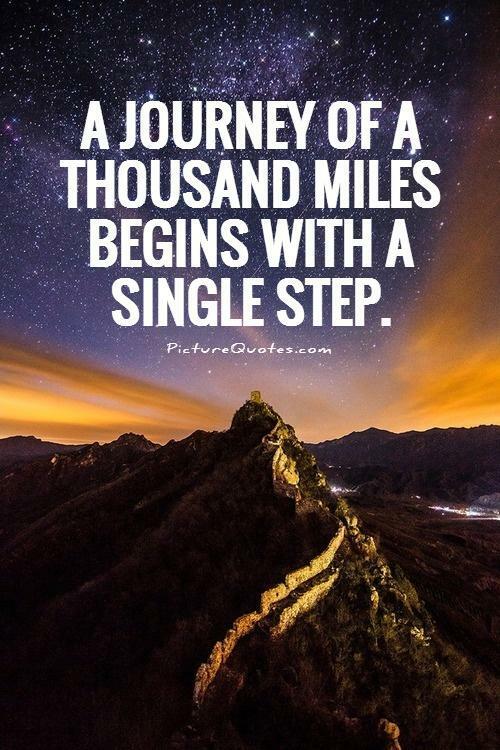 I’ve been on a journey and I know that things I’m doing now are the result of starting the journey when I did. You cannot afford to wait any longer. If you are not getting the results you want; or do not feel like you are making progress – please keep this in mind. Slow progress is still progress. While the MLM Lead System Pro has been great for ‘beginners’ – for people who are just now starting to go on the journey of using the internet to find people for business partnership, I cannot help but feel our system is better. You are looking for a good MLM System to use to build an organization; as well as a good team to be aligned with or else you wouldn’t be reading this now. The reason I wrote it is to deal with the perceptions that are out there – based on responses I have gotten to our system. If you’ve already been exposed to MLM Lead System Pro or are currently using their system, a lot of what you have learned is going to harm you in network marketing. I’ve always felt like too much emphasis has been placed on things that just are not ‘easy to duplicate’ – and Duplication is a wealth principle. How can any of us get wealthy if we’re not doing duplication? … also if everyone is learning the wrong methods in network marketing, isn’t that going to have a negative impact on network marketing? Well truth be told, that’s what has been duplicated. Lots of bad habits. Please allow me to drive the nail home. The Very Premise of MLM Lead System Pro is entirely wrong; it’s Self-Centered. It’s too much about you; when MLM is about others. 90% of people who use MLM Lead system pro use it to help themselves; not really to help other people. They are looking at the money THEY will make from selling people a system; they are looking at the money they’ll make from upgrades. They are looking at using the system JUST to bring them into “their company” – but even this premise is faulty. Any Business can go OUT of business. You and I do not OWN the MLM company. So why is our focus on bringing people into MLM Companies? .. and that my friends is where OUR One MLM System comes in. We are correcting the ideas that Network Marketers have picked up; by way of following people who didn’t know better; into systems that were teaching concepts that are actually harming network marketers; rather than helping network marketers. Let me be clear. A Lot of what MLM Lead System Pro teaches is good; But there are also a lot of bad ideas that have been spread, primarily through this platform, and by the ‘leaders’ who have come out of their system. We are inviting you to join with us in making network marketing better. To do that, we have to make you better. We want to share better ideas with you that are closer to the foundation of MLM and what our industry is about. Our industry is about change, growth, improvement, empowerment and so much more. But our industry has become consumed with greed – selfishness – and ego. Let us teach you the Right way! Get Started with the One MLM System Today! In the world of business that exists in the United States of America, it is naive to think that racial discrimination would not find its way into this industry. This is an industry that for the most part is all about personal growth and development; MLM exposes people to self improvement. Often this is a process of confronting the ideas you have gained from years and years of being raised by people, who had no formal training on success. Often their bad habits rub off on you and I; we are all, like it or not, products of our environment to one degree, one extreme, or the other. Now Playing at The Black Folder – Malcom X talking about Group Economics; specifically for the black community. These words were spoken several years ago but seem to be applicable to today. Not much has changed. Many of the same conditions black people were in during the 60’s are still present for black people today. Because everything in this society is geared towards keeping black people in the same position that black people are in. This often includes discouraging black people from going into business – and even from doing business with black owned businesses. There are many negative conversations that do happen quite often, and you’re bound to over hear one yourself, if you talk to enough black people. This happens because this is the same society, that Malcom X describes in the video that’s now featured at The Black Folder. A folder that has been evolving for quite some time now. It started with a powerful and moving speech from Dr. Claude Anderson, which also speaks about Group Economics. Maybe if enough people speak about the same things, we’ll get the message? Black people cannot afford to wait for other races to come to ‘our rescue’ – and even though the MLM industry exposes people to the ‘opportunity’ to become better people, this does not mean that people are taking it seriously. Ideas are everything though – and the failure to expose ourselves to ideas that can improve our lives is a huge mistake. Several ‘marketers’ – especially network marketers, are making this mistake. Meanwhile, the need to produce more black millionaires and billionaires is Urgent – and events like what happened with Trayvon Martin are what initially launched The Black Folder. Because we are FREE to do what we want here at TopnetworkersGroup – I decided that members of our team should have a ‘tool’ that they could use to expose people to this conversation. This need to practice group economics in the black community. The power of pooling our money together is so clear – and MLM is the perfect vehicle to properly Organize, Educate, and Create a Structure of Real Economic Empowerment. In fact, this conversation seemed to fit right into the overall vision of TopnetworkersGroup. We are about Uniting Networkers – and we feel that black network marketers need to come together and create a real Structured Organization – that is earning money in several places; as to have financial security; as we talk about the NEXT phase, beyond network marketing. There are things we talk about inside TopnetworkersGroup – the plans for the future, and everything that we want to do, relates back to what you’ll find in The Black Folder; which has continued to evolve into what you’ll see now. I added a compilation of Dr. Martin Luther King, Jr.’s Poor People’s Campaign ‘outline’ – because there too, he talks about the need for our people to come together – to set up black businesses and support those businesses. There are so many other videos out there that add to this conversation though. I decided to turn The Black Folder into a much more powerful tool. The Black Folder, has evolved! The new layout is much more of an open platform to foster a conversation about these issues. It’s also a platform to bring people To network marketing. It’s a platform that we will use to challenge people to be better – and to encourage black people to be smarter about how we spend our time and money. This will be a platform to foster the kind of monumental change that we set out to do with the FIRST professional network marketing organization ever formed – the TopNetworkersGroup – and as always you’re invited to participate in our movement; The Black Folder is more evidence of our mission – we’re not just talking about change; we’re in the process of making it real. This is both a tool for our team members to use to grow their network – and a tool to educate and empower the black community; to heal our nation of past wounds. It’s also a tool that is personalized by the unique TNG id of each team member. These pages are programmed to treat these URL’s as unique; so me and my friends can have a conversation on this platform that you and your friends will not see; If your friends share your page, the traffic will benefit you. The tools we’re providing for our team are tools that make a difference. You’re invited to do that, with our team. “Basketball is a platform to inspire others” – Kevin Durant said this while accepting his MVP today, a well deserved award for an excellent NBA Season. The NBA has been in the news a lot lately. Amid the controversy created by Donald Sterling’s Racist comments, the NBA has overshadowed quite a few big news stories over the past couple of weeks. Showing us that Basketball can be a platform for, many, many things – Including, but not limited to, Inspiring others. What will the players, and the people involved with this association inspire in others? I think that’s the most valuable question, that begs to be asked. Sharing with you now, the Full Kevin Durant MVP Speech – which was originally posted via Oklahoma’s local News Website, News9.com. 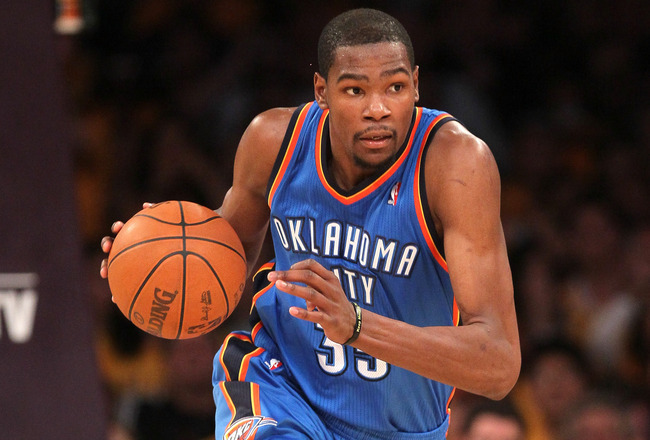 What an awesome 2013-2014 Season by Kevin Durant. What an awesome MVP Speech! Probably one of the best I’ve ever heard. He truly was the Most Valuable Player not only for his team, but in the League. Even Lebron James had to admit he deserved it, when the report was leaked that K.D. would win the award. The Kevin Durant MVP Speech will most likely go down as one of the most inspirational speeches we’ve heard. It was especially relevant to what we talk about here at TopnetworkersGroup, concerning Sports and Business. The Speech was full of raw emotion as he thanked each and every single one of the players on his team. He spoke of how each one of them motivated him to Have an MVP Season. This speaks directly to our ongoing theme in business, about the important of teamwork; and how each person on the team plays a very important role. Kevin thanked each player, not only for this season – but for what they have done for him throughout his career in the NBA. Certainly a well deserved award, for a well deserved player, who just had an incredible MVP worthy season. A season where he lead the NBA in Scoring for the 4th time, a feat only a short list of NBA Greats have accomplished. They are Michael Jordan, Allen Iverson, George Gervin, and the great, Wilt Chamberlain. Kevin Durant also went on a binge of scoring 25+ points in a string of 41 Games; which surpassed Michael Jordan’s 86-87 season, where he did it in 40 Consecutive Games. He led his team to yet another great season where they finished 2nd in the West, which has been ultra competitive during the 2013-1014 season. Durant truly had an Incredible, MVP Season. But he didn’t do it, by himself. Which brings me back to the Kevin Durant MVP Speech, and how it really ties into what we do as network marketers. We are each playing on teams, and often we play for company owners who may or may not care about us as much as we think. Again, the comments from the Los Angeles Clippers owner, though ugly, reveal a reality in our society. Business cannot escape the ills of Society. Literally anyone can prosper in the world of business. Business, like Sports, is a platform. It can be used by anyone, to do harm to others – or to inspire others and transform our communities. Business more than ever, needs the good people to get involved, and work to be the best they can be. Business, is not perfect – it’s a part of our imperfect society. However you and I have the unique opportunity to transform Society while we transform ourselves. While we play a direct role in the transfer of wealth, from those who have it all, and are not using it for the benefit of the many – to you and I. What will We do with wealth? Will we have MVP Seasons and use our talents to bless others? Will we work together and encourage one another, and lift each other up as we STRIVE to win the championships in life? Go ahead, draw the comparison. In the MVP Speech we’ve just heard from Kevin Durant, we hear all the ingredients of a winner. Someone who tries to set the example for his young guys; realizing they are looking up to him and that if he takes a day off, so will they. He realizes the impact he is able to have on them. He’s thankful for the mentors, the vets, the ones who’ve been there and don it all. The Humility in a leader who realizes he is at the top, not because of his own efforts; but because of his team. In network marketing, no top money earner becomes one, without the efforts of a team. A team of top money earners is the most beautiful thing you will see. So many lives are touched and changed when people have success in this industry. SO many beautiful and wonderful people are freed from the chains of employment-slavery – by the blessings of residual income, and leverage – provided in our industry. Just like Kevin Durant each of us must work hard, to IMPROVE, and not just rest on our laurels. We must never be complacent or feel like last year was good enough; We must challenge ourselves, and even our team mates to get better. This SPORTS mentality, this WINNER mentality is what it takes to WIN, in Business, in Sports, and in every area of our lives. We must be willing to WORK at ourselves; to be “better men” – and better women too. As we become better PEOPLE; we’ll become better at our Profession; Kevin Durant, congratulations to you sir; and yes you’ve totally Inspired me; I hope your words inspire many others as well. Thank you for using the platform of basketball, to teach us all about teamwork. Thank you for appreciating your support system, and reminding us, no one reaches the top alone. We may not all have been blessed enough to be professionals in the NBA – but each of us reading this, has the opportunity to be a professional in MLM – and we can use this platform, to inspire others. As always, to partner up with TNG – Put your best Email here. Throughout 2013 I had to call upon the services of MCA – and yet many people on the outside looking in are left wondering is MCA worth buying. If you already have Triple A then you’re getting very good Roadside Assistance. The only downside is that you’re not getting the additional benefits that help make MCA worth buying. When you make a comparison to other benefits businesses you’ll find that none of them offer an affiliate side to bring in customers to this 82 year old company. That gives them an edge, and for members of TopNetworkersGroup this becomes an exciting opportunity. Just $40 to join, and only $20/mo to maintain, with all the awesome perks included, MCA is worth buying even if you’re already with the other company (A More Popular Roadside Assistance Company) . Our focus is on building up our team. As we build our team we already have programs inside of our system that will benefit all of our members. Not all of the people we sign up for these services will want to be part of our team – many will simply see the value offered by MCA – many may not even have any kind of coverage for just in case – Some team members will have more desire and hunger than others, and will really promote it. Is MCA Worth Buying or is it just a Scam? It’s a real service. When I call, real operators pick up the phone and send out real tow trucks with real drivers who know what they’re doing; Quite a few times I got the same tow truck companies that Triple A would send out. MCA tows further and has an awesome compensation plan that really rewards Organizations like ours, that put the focus on building the team. As we build and grow our team – Members of our team will get memberships through MCA worth buying specifically for the income that MCA provides to its members. Our members won’t be the average members though. Our entire goal for our members – is to use MCA to generate an additional $3,000 per month that they can use for other money making ventures. Primarily enabling them to help their teams. With our multiple stream structure in place, members of our team who have Organizations large enough for them to earn $3,000 per month, will most likely be earning up to $4,000 (or higher) with our other ventures. People will stop asking is MCA worth buying, or is it a scam, and they’ll start wondering why they did not get positioned in it sooner. Members of MCA will find themselves flocking to our team, as they’re usually not getting real support where they are now. This gives members of our team the ability to earn money WITH others who know that MCA is worth buying and yet, even they need to diversify their income more as well. Stay TUNED for live events that we plan to broadcase from our MLM System, MCA LIVE offices – and get signed up to start Marketing and Benefiting from MCA – while you work with our team. After you’re generating a consistent $100 to $200 per month, and have a few business partners doing the same, we have additional income opportunities lined up for you to invest in and make money from. We’ve put all of these income opportunities into one mlm system – under one roof – all bringing more and more value to Our Team. Our team is our focus and you are invited to join us today. If you’d like to have input on what programs we’re directing others to, Leadership Ranks are already in place – as you achieve ranks within our team, your ideas will be recognized. 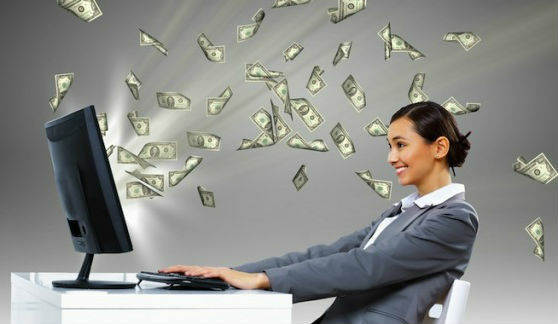 Read more about MCA and decide for yourself, Is MCA Worth Buying or not?